Nice pool and hot tub. Excellent included breakfast with good coffee. Quiet room, comfortable bed. Very clean, well manicured, property with friendly staff. Lobby inside the casino smelled like smoke, my own check in was fast but had to wait awhile for 3 people in front of me, luckily there was a free coffee machine. Room was spacious, quiet, and clean, but unfortunately could not get connected to WiFi. 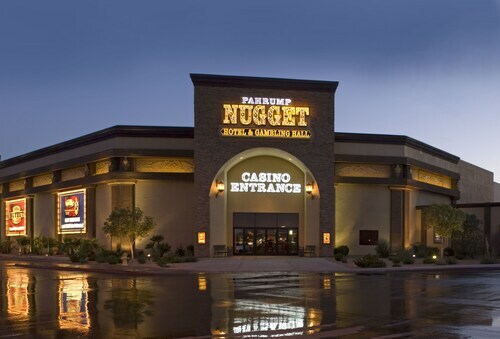 So you're considering a holiday to Pahrump? If you want a place to call home that's located close to Pahrump attractions, use Orbitz to pick your travel dates, and then presto! Look through the list of hotels and other accommodations to find those that are near what you want to see. We make it easy to find a convenient flight into Las Vegas, NV (VGT-North Las Vegas), which is 43.9 mi (70.6 km) from the heart of the city. Find your ideal flight in nothing flat by using the filters on our site to narrow down your search. 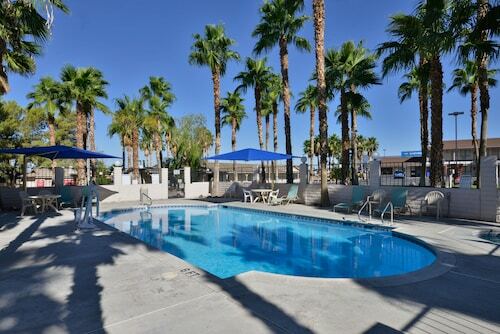 Go for a swim when you stay at one of these Pahrump properties, noted for their pools. What's the Weather Like in Pahrump? Home to Death Valley and Front Sight - Only 1 Mile Away to Everything in Town!